Five years ago, on 19 April 2013, I was named as the DAP candidate for Bukit Mertajam in the 13th General Election. I accepted the responsibility with much trembling and fear: On one hand I was proud to be able to stand in the frontline especially to represent my “kampung”, Bukit Mertajam, in the battle for a better Malaysia. On the other hand, I know it was a huge task to face UMNO-BN’s enormous machinery. With the support of the people of Bukit Mertajam, I won the election and became the MP for Bukit Mertajam. 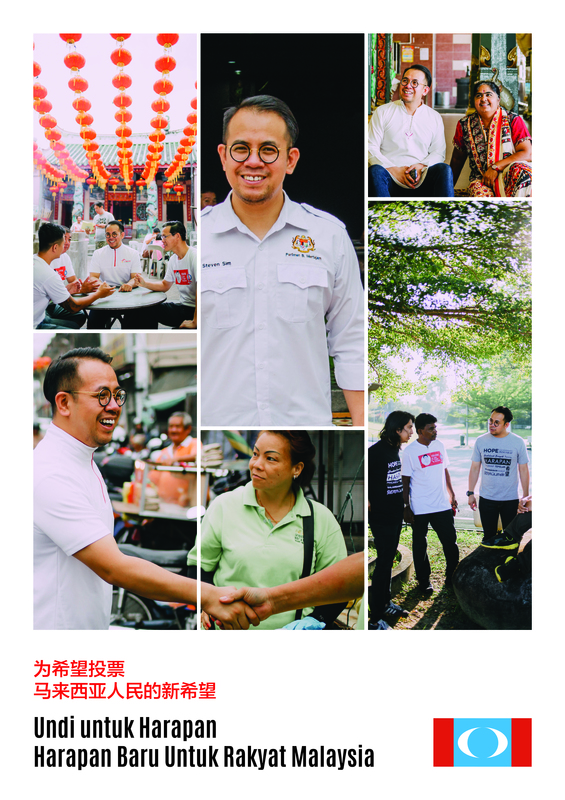 In the last five years, it was my honour to serve my constituents and fellow Malaysians in the Parliament. Today, five years later, on 12 April 2018, I am once again named the DAP candidate for Bukit Mertajam to face the 14th General Election (GE14). I was named together with the candidates for the state seats of Padang Lalang and Berapit: Chong Eng and Heng Lee Lee. I humbly accept this task, and offer myself to serve the people of Bukit Mertajam and Malaysia for another term. This is an exciting election for Malaysians: the federal ruling party has been exposed as a kleptocrat – a government of thieves, UMNO’s former strongman and former Prime Minister Dr. Mahathir Mohamad is now leading Pakatan Harapan together with Dr. Wan Azizah Wan Ismail to face UMNO-BN, and Malaysians of all races are more determined than ever to defeat the kleptocrat in power. In other words, our slogan, “Ini kalilah!” (This is the time!) will be gloriously actualised. The announcement of Bukit Mertajam GE14 candidacy as the first candidates to be announced in Penang means that Bukit Mertajam is now the frontliner in our GE14 battle in Penang. As such, we are committed to deliver the victory for Penang and Putrajaya beginning here in Bukit Mertajam. Although we won with more than 43, 000 votes in the last election, the second highest majority in the country, we are not taking this battle lightly. Just last month, Deputy Prime Minister Zahid Hamidi boasted that UMNO-BN will be able to win more in Penang this time. My team and I have been working non-stop from Day 1 when I was elected five years ago. I am confident that with our track record in the last five years and the achievements of the Penang state government in the last 10 years, we will be able to defend all our seats in Bukit Mertajam. You have been such a tremendous support to me all this while. Thus, I trust your continued friendship and support in this important battle. I need all the help I can get.